Also, "attacks on [Gov. Northam's] character and medical judgment...are disgraceful and they must end"
Strong statement from Virginia Lt. 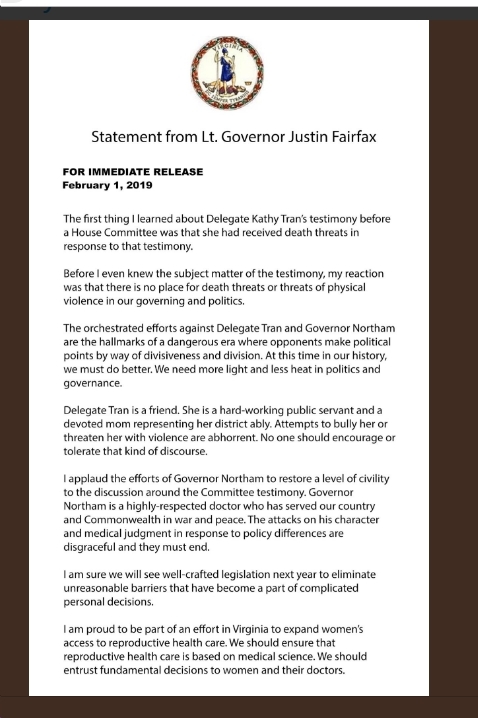 Governor Justin Fairfax, adding his important voice to a growing number of people pushing back on Virginia Republicans for their dangerous, irresponsible rhetoric this past week. Next articleOur Ballot is Not a BuzzFeed Quiz! The Case of State Sen. Bill Stanley’s School Bond Referendum.